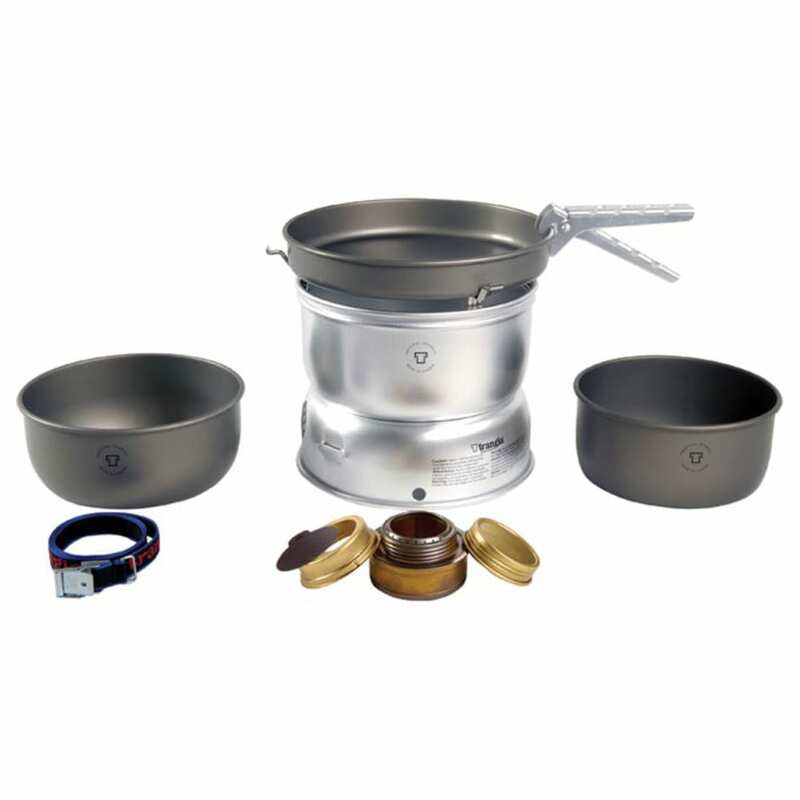 Covering your basics, this convenient and comprehensive backpack cooking kit pairs an alcohol stove with two saucepans, a frying pan, and a windshield. The full kit packs light and compact, so it won’t weigh you down in travel. This product will be shipped directly from Trangia and will leave their warehouse in 2-3 business days. Eligible for ground shipping only. Packed Dimensions: 8.5 in. x 4.25 in.